While they are in the same family of sharks and rays, serving up sawfish for lunch under the banner of “shark” is like offering California condor nuggets under the guise of a “New Flavor” at KFC! The primary reason that approximately 10% of the original population of sawfish remain in isolated populations around the world is due to net fishing. Fishers don’t try to catch these odd-looking creatures on purpose, but the long toothy “saw” easily tangles up and usually ends up killing the large fish. Some nations, like Brazil, the United States and Australia have made capturing and harvesting sawfishes illegal, but since they are extremely easy to catch by accident, these fish continue to dwindle in population. Unfortunately, a group of researchers in Brazil performed DNA tests on 44 fish fillets sold in Brazil labeled as shark meat and discovered that 23 of the samples were actually rare large-tooth sawfish steaks. Not only does this prove that Brazilian fish markets are intentionally misleading buyers into thinking that they are selling traditional shark meat. And you thought that the whole European “Is this a horse or beef burger?” thing was bad! 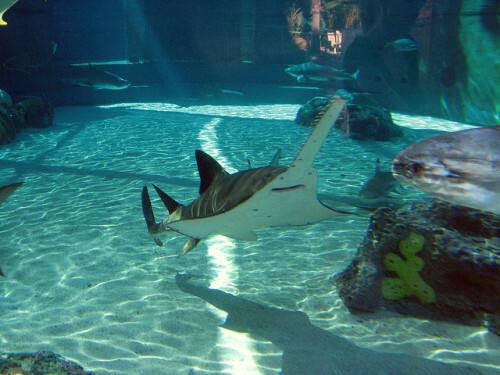 The large sawfish can grow up to 25 feet long, but is difficult to keep and have yet to be successfully bred in captivity. Thankfully, the international trade and sale of sawfishes has been banned in 2007, with the exception of conservation purposes. 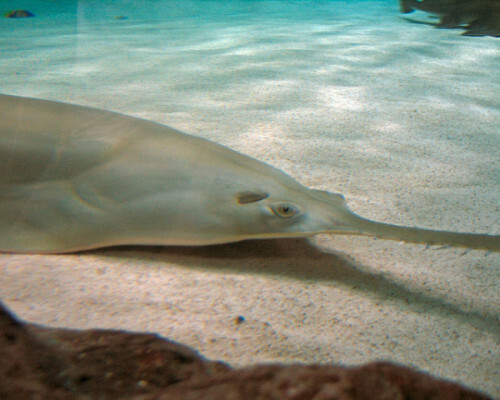 A sawfishes “saw” on the end of its face is actually called a rostrum, which is used to dig out crustaceans and fish from murky riverbeds and ocean floors.